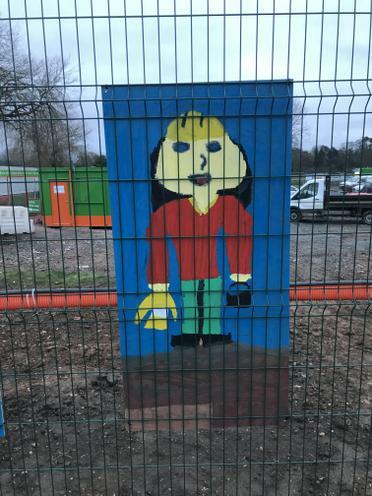 Have a look at what the School Council has been doing! School Council helps to improve our school community by providing a means through which each child’s point of view is heard. This helps to develop an excellent relationship between staff and pupils. It also helps to nurture responsibility and a strong sense of pride and togetherness. 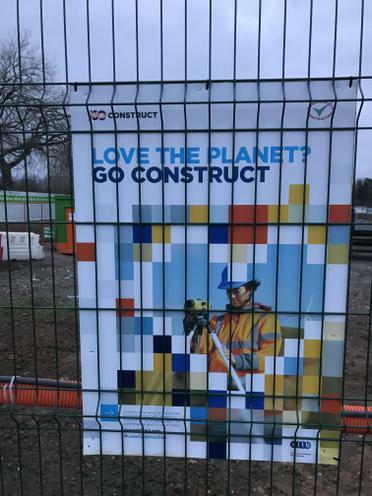 BAM is the construction company building a new secondary school next door to us. They came into school to tell us all about their building site and how we can stay safe. They set everyone the challenge of creating a safety character and then they choose some winners. 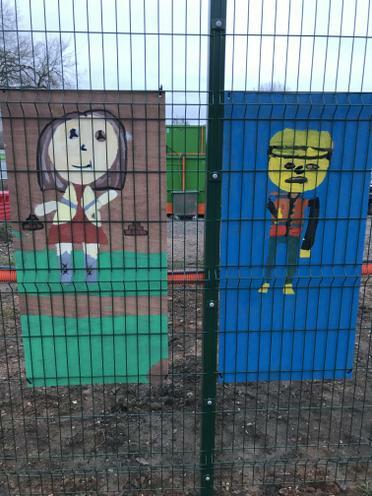 The school council members helped all the painters create their characters on a large scale and they have been displayed all around the construction site next door. 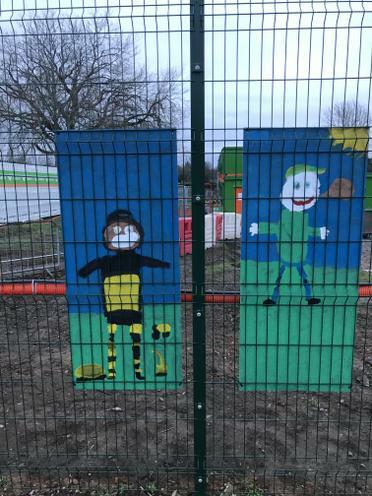 It is lovely to see them as we walk home from school. If parents or carers have any helpful ideas they would like to contribute to school council work then please use the form below. Early in the Autumn 2016 term Rokeby School Council was elected with representatives from each class : from Year one to year six. 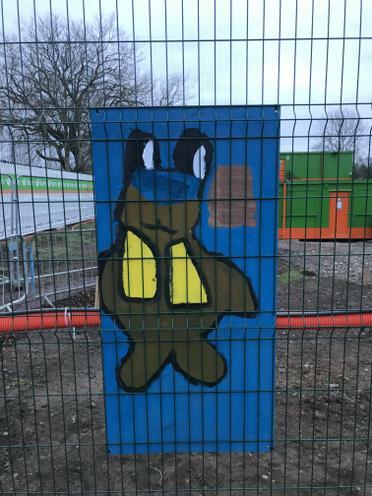 They were the first children to hear that Rokeby's 10 key qualities : happy , friendly , healthy, helpful, trustworthy , well behaved , responsible, fair, confident and polite were to be relaunched under the Rokeby school slogan ' Are you being Rocky?' . At the same time Rokeby adopted their own song, I'm OK.
What did the school Council do to launch 'Are you being Rocky' ? To whet the children's school's imagination the School Council had a meeting, briefly talked about what they thought 'being Rocky meant' in groups and created some mind maps to express their ideas which are on display on our School Council Board. 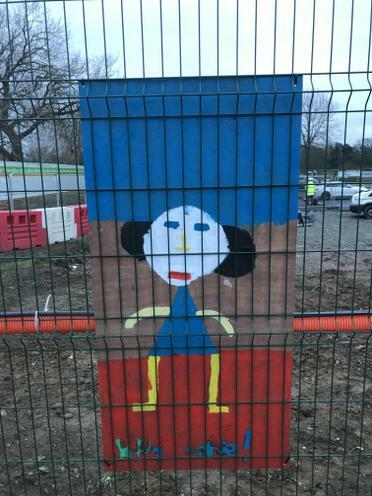 School Council members designed the first 'Are you being Rocky ?' posters to display around the school to celebrate the relaunch of the 10 key qualities. Here is a peek at what it looks like ! 'Are you being Rocky ? is thriving and developing in school. 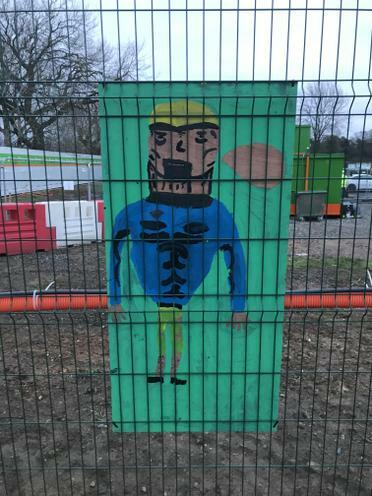 Efforts are being made to ensure that Rokeby children, staff, parents , Governors and visitors are aware of the 'Are you Rocky?' concept and understand how it works around school. The children are quick to notice when someone is behaving and sounding Rocky !Initially when I asked children to write and let me know when they spotted someone being Rocky in school I had a post bag full of some good examples of it in practice ! Currently , our weekly Celebration Assemblies celebrates how children's learning links with the 10 key qualities. Parents are welcome to attend .